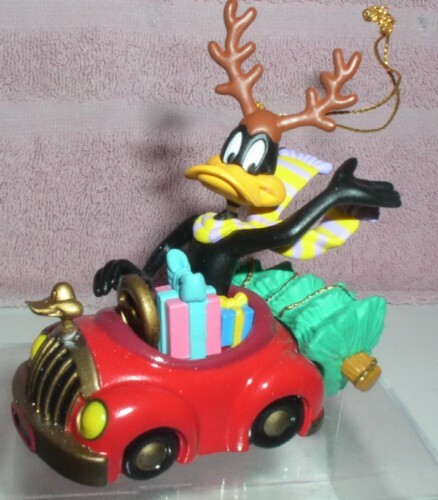 Warner Brothers Loony Tunes Daffy Duck ornament. 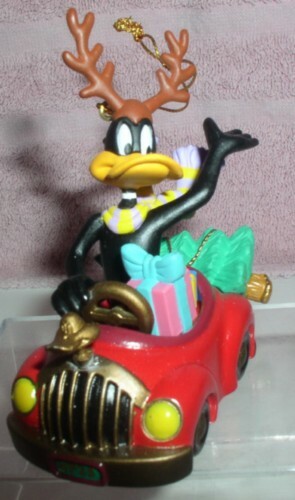 Daffy Duck with antlers duck with gold emblem on his red hot rod. He is carrying gifts with a Christmas tree. 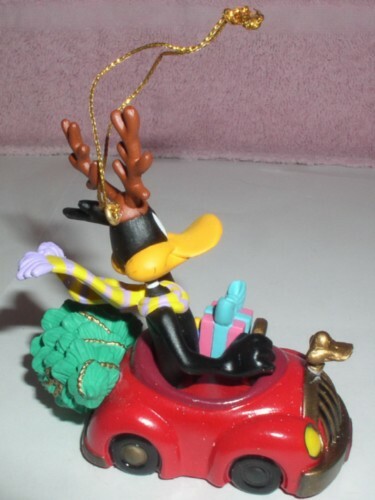 this ornament is a Collector Figurine. Approximate size: 3 inches tall in the original box dated 1996. This is in excellent condition he may need a little TLC he is looking for a new home. I purchased it out of someoneâ€™s private collection.